The U.S. Copyright Office maintains copies of these recorded documents, which can be accepted in court as authentic evidence of the original. The USCO also indexes the information contained in recorded documents in its catalog and both the catalog and the underlying recorded documents are available for public inspection, review, searching and photocopying. 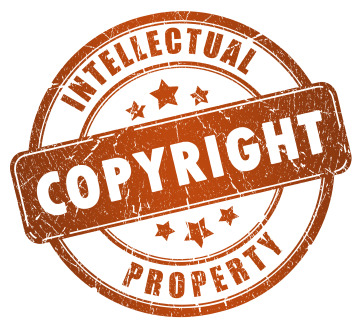 The Copyright Office does NOT review ownership documents for legal sufficiency or interpret the content and it does not screen for errors or discrepancies. The USCO may record the document, even though it may have no legal effect. It is the responsibility of the parties to an agreement to ensure the document’s legal sufficiency. It is highly recommended that those who are interested in recording a transfer of copyright ownership or similar agreement read the U.S. Copyright Office publication Circular 12, "Recordation of Transfers and Other Documents" (from which the above was adapted), which explains the process and requirements in much greater detail. It also contains the Document Cover Sheet with instructions which, while not required, can serve as a sworn certification if the underlying document is a photocopy that does not bear an original signature. The most important fact about recording an ownership document at the U.S. Copyright Office that isn’t mentioned in Circular 12 is that it takes a long time to record an ownership document at the Copyright Office. Current regular USCO processing time for recording is approximately 12 months, and it has been known to take as long as a year and a half, or longer. Why does it take so long? The Copyright Office does not yet have an online submission process for ownership documents as it does for copyright registrations. Filings are either mailed or can be submitted by hand at the Public Information Office (PIO) and recording them is a very labor-intensive, paper-driven process. Filings submitted by mail first go through an off-site irradiation procedure before they ever reach the Copyright Office. Once at the Copyright Office, they are sorted, sent to the Accounting Division where payment is processed, then, finally, they reach the Documents Division where they are separated by month and bundled into more manageable packets of 10 documents each. The Copyright Office has been understaffed and underfunded for years and, at the same time, it has seen an increase in the number of documents submitted. The Document Division’s staff performs herculean service while using outdated legacy software that doesn’t communicate with newer systems and, unfortunately, they get set back every time there is an update to other software. The good news is it is getting better. More staff has been hired recently and the USCO is earnestly working to develop a new system while being forced to use stop-gap methods in the interim. The head of the Copyright Office (The Register of Copyrights), Maria Pallante, has made the reengineering of the recordation service a priority. Last year, the USCO held a series of “stakeholder meetings” to talk about ways to improve the service. The meeting attended by COGENCY GLOBAL INC. included rights holders, media organizations, law firms and service companies and it was an honest discussion about frustration with the current system and ideas on how to improve it. Armed with this feedback, the USCO is devising strategies for across-the-board improvements which cannot come soon enough. In the meantime, there are some ways that remitters of ownership documents can make the recordation process go more smoothly and perhaps a little faster. Request expedited service and pay the special handling fee of $480 (in addition to regular recordation fees). Expedited service still takes several weeks. Submit documents by hand, avoiding delays in mail. Recorded copies can also be picked up when completed, saving time on the return. Include a transmittal letter with your hand-delivered filing, which can be date-stamped by the PIO and serve as proof of submission. Be sure your document is complete on its own terms, legible and accurate. Missing or incorrect information and illegible photocopies will slow the process further. Make sure the signature requirement is met by submitting an original “wet ink signature” document OR by signing the certification on the document cover sheet. Include the correct filing fee (see Calculating Fees for Recordıng Documents in the Copyrıght Office). Payment is accepted by check or through the use of a deposit account. Make several filings with fewer than 100 titles rather than one with hundreds of them. The last tip really underscores the arduous task facing the Copyright Office staff. If your document contains a schedule with a long list of titles (sometimes in the hundreds, or even thousands), the USCO staff must manually enter each title (and Registration number if you wisely include it). If you can submit a copy in Excel or Word, that will help them calculate the number of titles (to correctly determine the filing fee) and enter the information more effectively by cutting and pasting the data. While the USCO cannot mandate that this be included, it is appreciated by Document Division employees and can help to speed up the recordation process. By following these tips, the recordation process can be made more tolerable for everyone involved as we patiently wait for a new era at the U.S. Copyright Office and dream of improvements like online recordation with immediate evidence.